But the most important element of a frontier is psychological, because it is hard to sustain that believe in limits - that belief in the zero sum game - when you can see, stretching before you, new lands - untamed, untapped. Remember the days of reading the Armadillo updates every Monday?! I miss that level open communication by a New Space company. I know some of Armadillo's customer's prevent them from sharing everything, but I enjoyed feeling a part of Armadillo's efforts each week. That is why I am excited that Altius Space Machines just announced an intense effort to mature their "Sticky Boom" docking tool. And through that "sprint" as they call it, Altius intends to blog daily on their progress - good or bad - words or pics or video. Their website makes it sound like a pretty aggressive development schedule to develop their "Sticky Boom". get meaningful adhesion to almost any material imaginable. Plastic, metal, rock, ceramic, MLI or MMOD blankets. Flat surfaces, curved surfaces, multi-faceted surfaces, completely random surfaces like NEOs. Even dust or regolith for that matter. You get all of the “contact at a distance” benefits that Kirk and Joseph Bonometti talked about, while also enabling secure connection with “non-cooperative” objects like uncontrolled satellites, Mars Sample Return sample canisters, space junk, and even asteroids or comets. Altius says they have one month to get a Sticky Boom prototype ready for a ZeroG micro-gravity flight in May 2011. This "sprint" should be fun to watch. Good luck Altius Space Machines - we are cheering for you. Follow Altius's Sprint here. When you Are on the Moon you can Touch it! "When you are ON the moon you can touch it." It is our job to create this attitude in a whole new generation - of course you can touch the moon when you are on it because your generation will travel to the moon - not just the astronauts of this new generation, but you personally. This new generation will go to the moon and use the moon's resources and learn from the moon and have fun on the moon. The moon is REAL - let's go touch it! 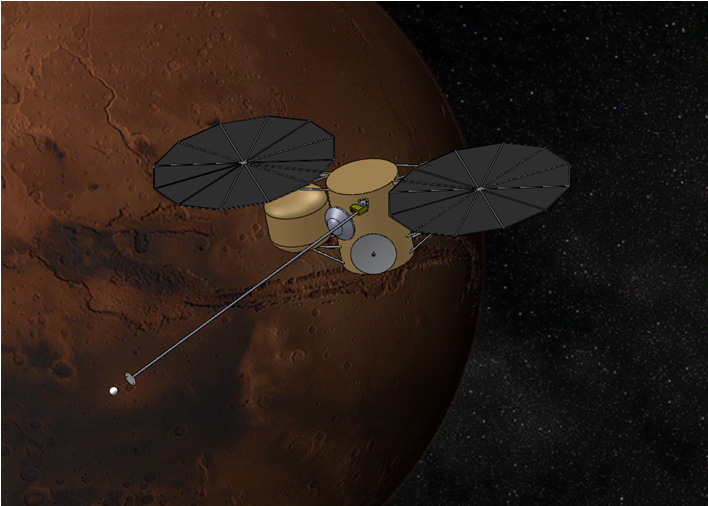 A few months ago I analyzed a SpaceDev/NEAP-style commercial NEO prospecting mission. One potential market for the information gathered about the target asteroid(s) is to sell the data to those interested in mining such asteroids. Most NEO’s are in orbits whose paths cross infrequently with earth’s orbit. Most “low cost” mining efforts would require a near earth asteroid to pass by earth at least two times – one pass for the prospector to prospect (sending back data) and a second pass to mount a mining expedition. Without two passes would require the venture to combine prospecting and mining into a single mission. I believe this approach to be too high risk for an investor-led venture. Finding NEOs that return frequently enough to earth to attract investment dollar for a mining mission (double orbit missions) may be difficult. And the prospector company (the company that flew to multiple NEOs in search of data about asteroid composition, etc.) will have a hard time selling their data if they have to wait for the NEO to approach a second time. For example: Asteroid 2006 RH120 at its closest distance from earth could be reached with only 3.8km/sec of delta-v. According to JPL, Asteroid 2006 RH120 last approached earth on 14 June 2007 and won’t return again until 29 Oct 2028. If your prospecting mission had gathered data on 2006 RH120, the scientific community might purchase the data gathered (yay), but commercial groups would not if the commercial ventures had to wait 20+ years to turn that data into profits. Some NEOs return to earth more frequently than this example, but it illustrates a principle – prime targets for commercial NEO prospecting missions would combine a low delta-v to reach and frequent return trips to earth. Very stable orbit – been there a long time! 200-400 meters across - plenty of rock to prospect. Why Prospect Asteroid 2010 SO16? Always pretty close to earth – so other could mine the asteroid if they determine it profitable to do so. This makes your prospecting data more valuable too. Valuable as an earth observation point? Perhaps? Valuable to watch for NEOs? (not sure on this point – need some engineers out there to help me). The alternative is to send a probe to Venus to watch earth – which would be easier or more valuable? If 2010 SO16 is actually ejecta from earth/moon formation as some scientists have theorized, this asteroid may hold significant scientific value. If 2010 SO16 is actually apart of other objects located close by, once there, additional objects may be close by to prospect as well. Commercial value. Scientific value. Profitable? 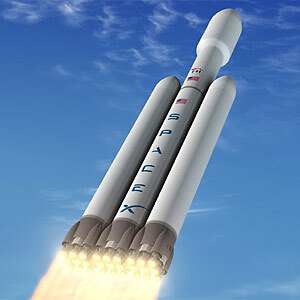 With the announcement from SpaceX yesterday about the Falcon Heavy, I went back over the recent missions I had been analyzing here at Space Business Blog to determine if any of them would benefit directly from the Falcon Heavy’s superior performance and reduced per pound launch cost. The Answer: No. Well, mostly no. Let me explain. Most of the innovative missions I had been considering were near term missions that could be performed on a single launch without the added capability of the Falcon Heavy. Further NewSpace validation: Still a lot of doubt in congress that a commercial company can do rocket science – one more answer to these critics. New Space firms benefit from the validation that SpaceX creates. Cheaper Secondary Payloads: With 53 metric tons to LEO available for each mission, smaller payloads could be combined to take advantage of all of that capability. This would allow more users to benefit from the $1000/lb price point, not just the big payloads. Cheaper Falcon 1 and 9 missions: The Falcon family of launchers use the Merlin engine. Falcon 1, Falcon 9, and the Falcon Heavy (which could be called Falcon 27 since it uses 27 Merlins for each mission). In the announcement yesterday, Elon eluded to economies of scale coming from SpaceX making so many of these Merlin engines - 100’s per year. If the Falcon Heavy flies frequently, SpaceX will get even more experience about making many, many, many Merlin engines. The more Merlins you make, the more ways you find to make them cheaper. Yay economies of scale! The hope is that these savings result in lower prices for Falcon 1 and 9 over the long-term. Even if you DON'T have $80M+, the Falcon Heavy announcement changes how the whole world plans their space missions - even New Space.